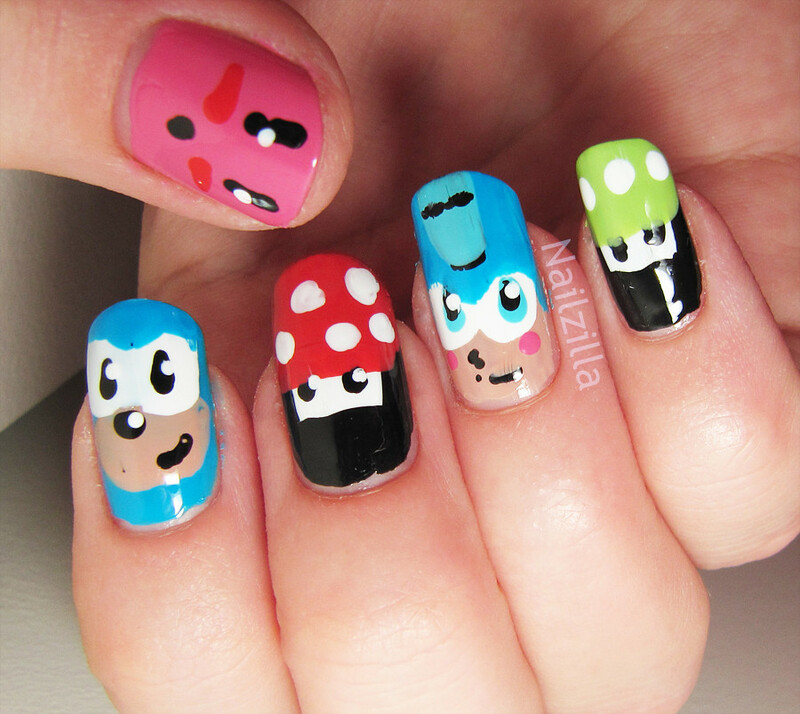 NailZilla: Video game nails Kirby, Sonic, Megaman and Mario mushrooms! 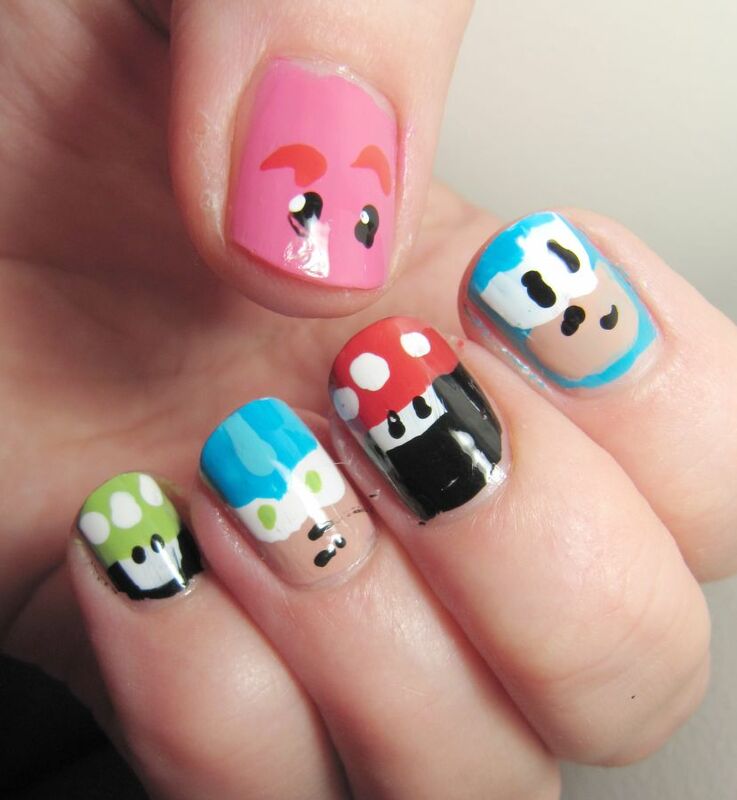 Video game nails Kirby, Sonic, Megaman and Mario mushrooms! This is what I spent my Saturday doing...absolutely nothing AND video game nails! Also my left hand is looking ridiculously wonky but the nail shape fits much better. I did this with dotting tools, and some help from brush shapes (thank YOU SH- whirlwind white for your round brush). I've been meaning to do video game nails forever, but I was lacking a yellow since I'm still away from most of my stash... Had to make do with the cremes I acquired in the last month. Also had to pick and choose characters I can do based on what color I got (sorry Pacman and Pikachu ), but I think it turned out decent! I'm hoping to do some Pokemon manis once I get my stash back...hmm...what else? These are super cute! So you are left handed too? That's great to hear! YAY these are so cute!! :D Fantastic job!! Mihaela and Estivalia: yes, lefties unite! Oh wow!!! These are super cool!!! Love!